The 17th annual track superintendents' field day will be held March 25-27, 2018 in Hot Springs, Arkansas. 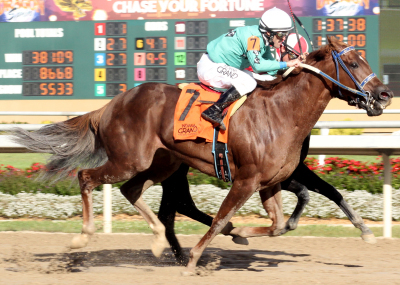 Hosted by Oaklawn Park, the event will begin on Sunday, March 25, with a welcome reception and continue with workshops and demonstrations on Monday and Tuesday. There are no registration fees for the event, as it is supported by sponsors, and a special rate is available at the Arlington Hotel in Hot Springs. The track superintendents group meets yearly to discuss best practices, share surface maintenance techniques, participate in educational forums and discuss ways to better serve the equine industry. Visit www.tracksupers.com to register and learn more. LEXINGTON, Ky. – A Swift Air flight carrying nearly 20 tons of hay cubes and veterinary supplies departed from Miami at 4:30 a.m. today and landed in San Juan, Puerto Rico at approximately 7 a.m. 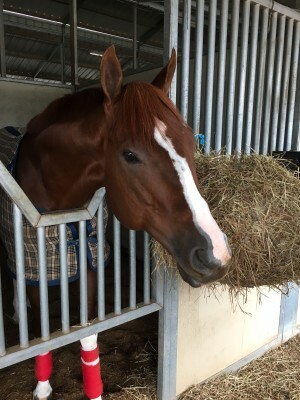 The plane, funded by The Jockey Club and Thoroughbred Charities of America’s Horses First Fund, is the result of a week-long effort undertaken by numerous equine groups to get aid to the more than 800 Thoroughbreds at the Camarero Race Track and to begin assisting other horses on the island. The Basic Horse Handling and Care (Basic Grooming -99) Workforce Preparation Class will be conducted at Kenny McPeek’s Magdalena Farms in Lexington, Kentucky, on October 16-20. SHELBYVILLE, Ind. 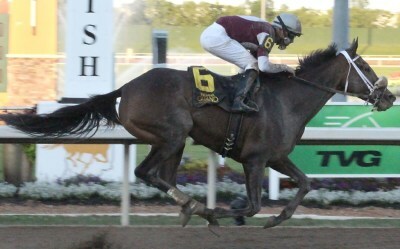 ; – Oct. 4, 2017 – Royal Blessing and Alonso Quinonez rallied home in the stretch to win the 10th round of the $30,000 Don K. Memorial Starter. Congratulations to 2nd Vice President Mike Lauer and Director Penny Lauer! SHELBYVILLE, Ind. ; – Oct. 4, 2017 – It was an afternoon of upsets and leading the way was a freshman colt from the Gary Patrick Stable. SHELBYVILLE, Ind. 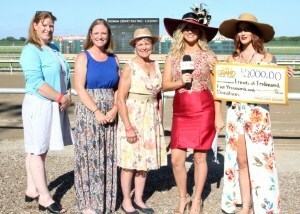 ; – Oct. 4, 2017 – Some of Indiana’s finest older females stepped onto the track for the 17th running of the $100,000-added Richmond Stakes. The final numbers are in! Horse registration for the 2017 Thoroughbred Makeover, presented by Thoroughbred Charities of America, closed on August 1, and organizers are pleased to announce that (drum roll please!) 509 horses are currently registered to compete in Lexington, KY, October 5-8. Top five in each sport compete for America's Most Wanted Title, celebrity announcers, jumbotron on stage, dinner, cash bar, live music, silent auction, and shopping. Tickets $25 or $15 for RRP members. Access to all Thursday, Friday, and Sunday Makeover activities is free. Saturday’s Finale and Celebration takes place in the Covered Arena. For more information, including the schedule, how to volunteer, and how to donate to the silent auction, click here . SHELBYVILLE, Ind. 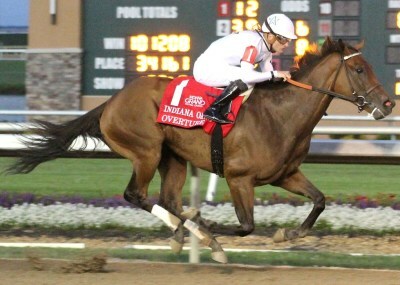 ; – Sept. 13, 2017 – After traveling to various tracks for stakes action, Indiana’s top older male returned to defend his title in the 21st running of the $100,000 Brickyard Stakes Wed. Sept. 13 at Indiana Grand. SHELBYVILLE, Ind. ; – Sept. 13, 2017 – Each year, trainers hope their new crop of prospects will carry on the winning tradition of the stable. SHELBYVILLE, Ind. 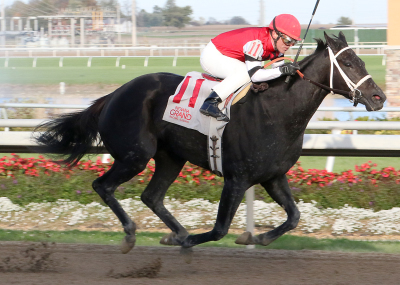 ; – Sept. 13, 2017 – Jersey Justice and DeShawn Parker were a bit of a surprise in a strong field of two-year-old Indiana breds vying for the title in the 17th running of the $100,000-added Hillsdale Stakes. SHELBYVILLE, Ind. 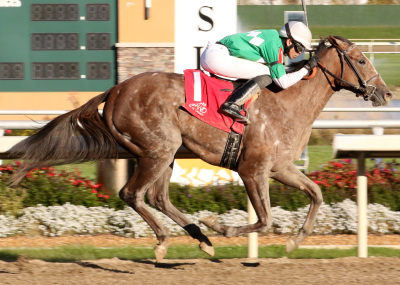 ; – Sept. 13, 2017 – Peyton’s Pass showed how quickness pays off as she rallied to a nearly gate to wire victory in the 23rd running of the $100,000-added Merrillville Stakes at Indiana Grand Wed. Sept. 13. SHELBYVILLE, Ind. 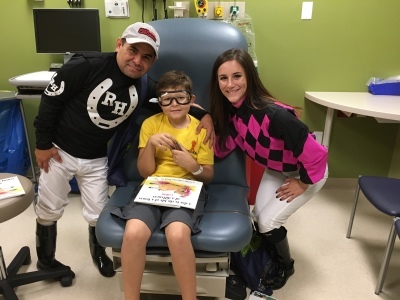 ; – Sept. 7, 2017 – Eddie Perez and Erica Murray represented the jockey colony at Indiana Grand Racing & Casino Thursday, Sept. 7 during the annual visit to Riley Hospital for Children in downtown Indianapolis. SHELBYVILLE, Ind. 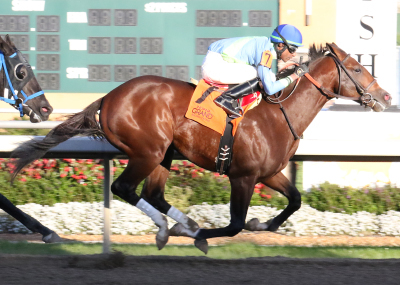 (Sept. 6, 2017) — Lovely Bernadette and jockey Florent Geroux rolled to an impressive win in the ninth running of the $200,000-guaranteed Indiana Grand Stakes. 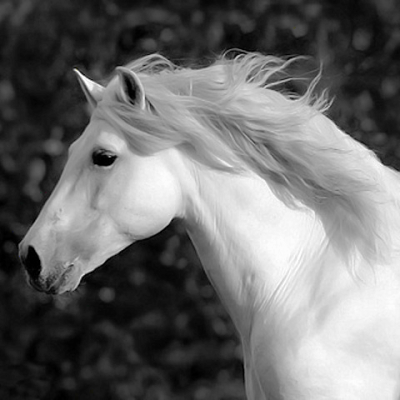 WHITE HORSE AWARDS : HEROES WANTED! 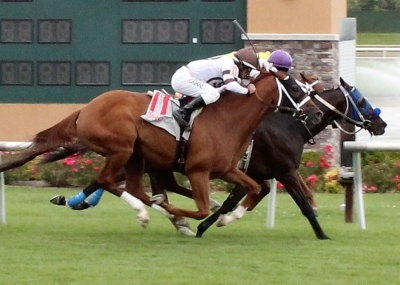 The Race Track Chaplaincy of America is currently seeking nominees for the White Horse Award! 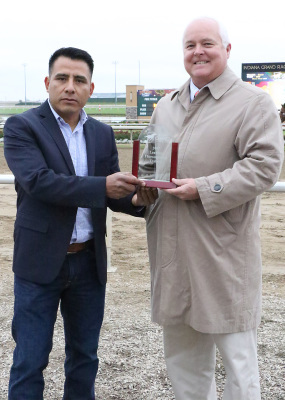 This award is presented annually to an individual of any age who has performed a heroic act on behalf of human or horse within the past 12 months. Two additional awards, the Tribute to Excellence and the Community Service Award, will also be presented. 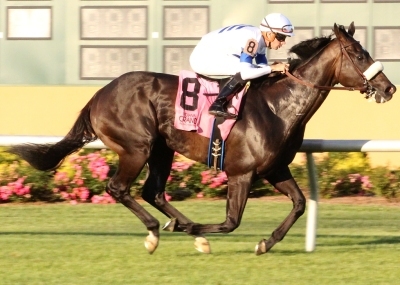 Awards will be presented at a ceremony on November 2, 2017 at Del Mar Thoroughbred Club Breeders' Cup Breakfast Marquee presented by Fasig Tipton and WinStar Farm. Pre-Register NOW to reserve your seat! SHELBYVILLE, Ind. 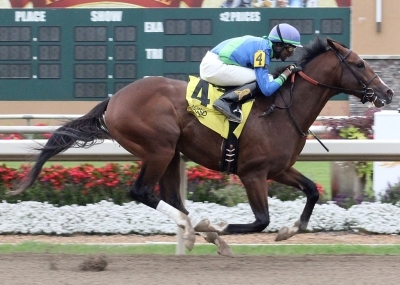 ; – Sept. 6, 2017 – Marina's Legacy and Jockey DeShawn Parker won their second straight stakes race at Indiana Grand. SHELBYVILLE, Ind. 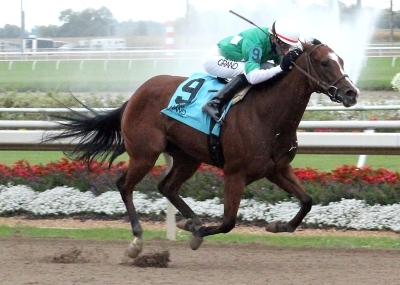 ; – Sept. 6, 2017 – Early predictions were that Cowboy Culture and Florent Geroux would be the ones to defeat in the $200,000-guaranteed Centaur Stakes at Indiana Grand. SHELBYVILLE, Ind. ; – Sept. 6, 2017 – It was emotional for friends and family associated with the Holden family of Greenfield, Ind. The group gathered in the winner’s circle to celebrate the victory by Rhinestone Romeo in the $14th running of the $100,000-added A.J. 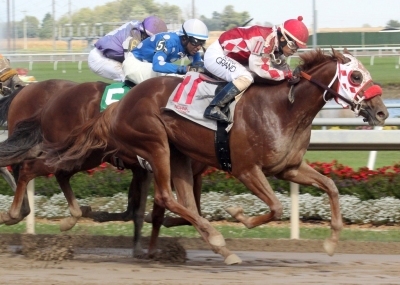 Foyt Stakes at Indiana Grand. your concerns and brief your representatives when they return in the fall. SHELBYVILLE, Ind. 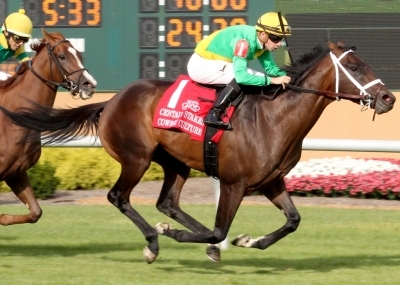 ; – Aug. 25, 2017 – The $200,000-guaranteed Centaur Stakes, Indiana’s richest race on the turf, has drawn 40 nominations for the 12th running of the race set for Wednesday, Sept. 6. 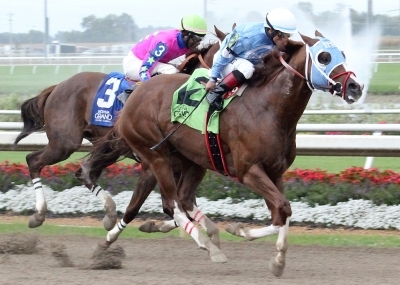 The race will be joined by three other stakes on the day, bringing a total of more than $600,000 on the program. Golf Tournament on Monday, September 25th, 2017 at Champions Trace Golf Club located at 20 Avenue of Champions Nicholasville, KY. The cost is $500 per team, or $125 for an individual patron. July 10, 2017 - A hero is a person who is admired or idealized for courage, outstanding achievements, or noble qualities. 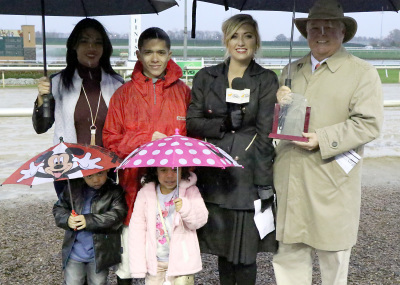 There are heroes all around the horse racing industry, and the Race Track Chaplaincy of America (RTCA) wants to recognize these selfless servants. 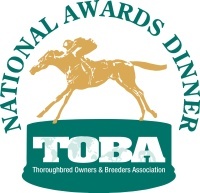 RTCA is currently seeking nominees for its 15th Annual White Horse Award (WHA). SHELBYVILLE, Ind. 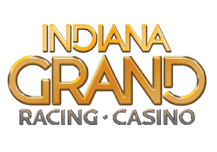 (Aug. 16, 2017) – For the first time in the history of the track, Indiana Grand, in cooperation with the Indiana Horsemen’s Benevolent and Protective Association (HBPA) have teamed up to offer a special bid to the Claiming Crown. 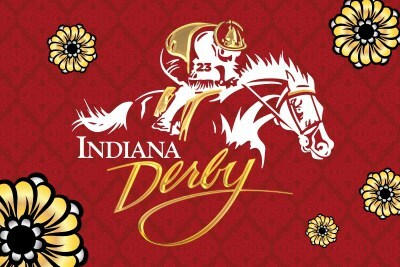 Shelbyville, Ind.—August 7, 2017—A record crowd and generous donations made the 23rd running of the Grade III $500,000 Indiana Derby at Indiana Grand Racing & Casino a success for local and regional charities. June 19, 2017 - With three participants from each of Canada, Illinois and Georgia, plus three other states, the 2017 summer Trainers’ Exam Prep Class in Lexington, Kentucky, on June 28-30 has sold out. SHELBYVILLE, Ind. (Aug. 4, 2017) – The Permanently Disabled Jockeys Fund (PDJF) hosted its fourth annual “Racing Across America” event Saturday, July 29 through Monday, July 31, joining more than 30 tracks nationally for the annual event. Indiana HBPA participated with Indiana Grand in "Back-to-School Night" on Saturday, July 29. After each race, through the 7th, Lisa Stephens and Michael Brown awarded two backpacks to students whose names were drawn from raffle registrants. 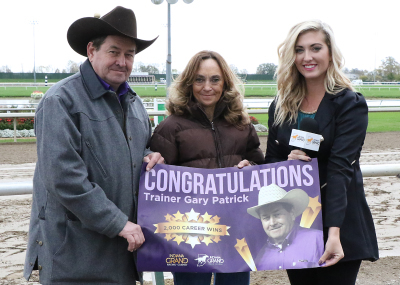 After the 7th race,the Indiana HBPA awarded a Galaxy notepad. Back-to-School Night brought out many families and first-time attendees to Saturday night racing. 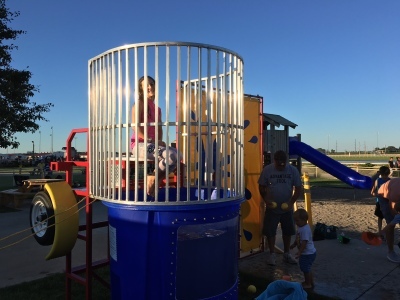 In addition to the HBPA giveaways, Indiana Grand provided face painting, a bounce house, a dunk tank and an electronic gaming trailer. 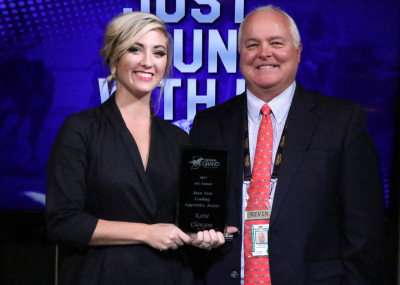 Nominations are now open for the 2017 Thoroughbred Industry Employee Awards, which were held in America for the first time in 2016. Nominations can be submitted until Tuesday, August 1st, at midnight. 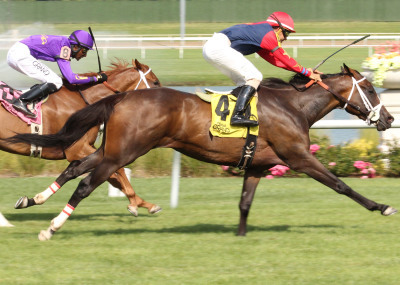 As you know, the H-2B visa is of vital importance to the horse racing industry. 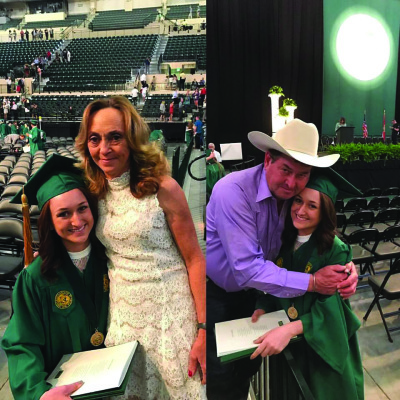 The National HBPA, along with others in the racing industry and other industries that use the H-2B visa, have been working hard to ensure this visa remains a viable option. 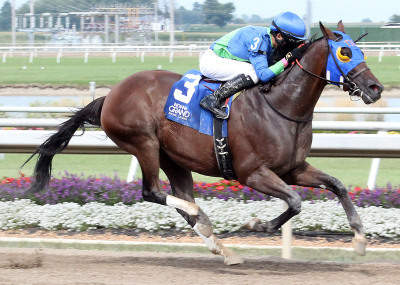 July 20, 2017) – Less than a week after finishing second in the Grade III $500,000 Indiana Derby with Colonelsdarktemper, Jockey Jon Court shipped back to Indiana Grand . 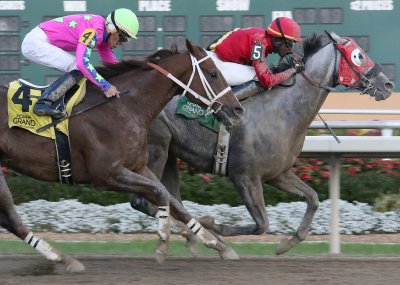 Indiana Grand Racing & Casino has announced its 2017 stakes schedule for Thoroughbred racing. A total of 35 stakes will be offered during the 120-day racing season that spans April 18 through Oct. 28, 2017. Federal law requires Indiana HBPA to provide all members with a written estimate of what portion of membership dues goes to lobbying and political action expenses. July 15, 2017 - Eagle and Jockey Brian Hernandez Jr. edged out the competition in the 18th running of the $100,000 Michael G. Schaefer Memorial. 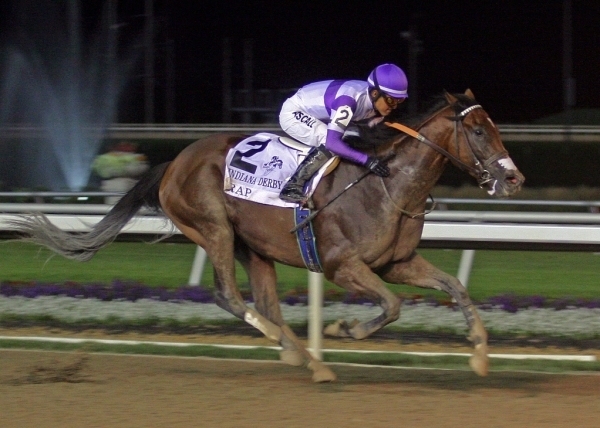 A man who ran an Indianapolis-area horse-racing business will have his tax deficiencies for the 2005 and 2006 tax years voided by the 7th Circuit Court of Appeals after Judge Richard Posner ripped apart an opinion by the U.S. Tax Court. 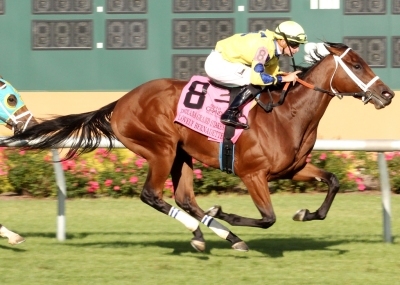 July 15, 2017 - John Gunther’s Tiger Moth earned her first stakes victory, rallying late to take Indiana Grand’s $100,000 Mari Hulman George by 2 1/2 lengths. JJuly 15, 2017 — On his 34th birthday, jockey Julien Leparoux took what he was given. 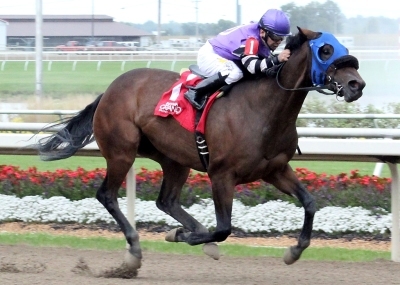 July 15, 2017 — It was a gate to wire performance for Western Reserve in the eighth running of the $100,000 Warrior Veterans Saturday, July 15 at Indiana Grand Racing & Casino. 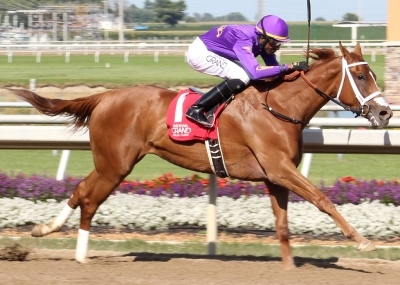 July 15, 2017 — James Graham shot up the hedge with 13-1 shot Beauly, holding off favored Linda for a victory in the $100,000 Indiana General Assembly Distaff. 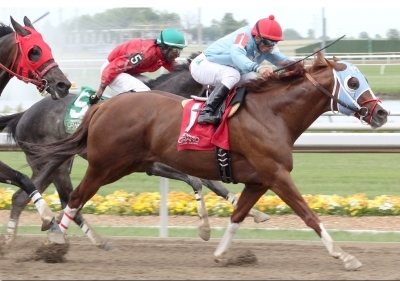 July 13, 2017 — Bucchero might not win Saturday night’s $100,000 Michael G. Schaefer Memorial at Indiana Grand, but the winner probably will have to pass him at some point. 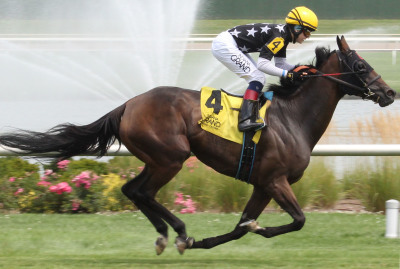 July 12, 2017 – After a slow start out of the gate and trailing the field early on, A J Pacer and Jockey Richard Bracho made a late move to finish third in the $34,500 Allowance race. 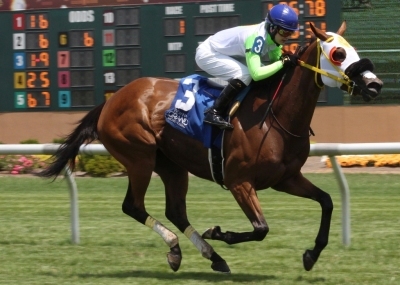 July 8, 2017 – A J Pacer, the horse owned by the new fractional ownership program Grand Gesture Stable, will make her second start for the stable Wednesday, July 12. 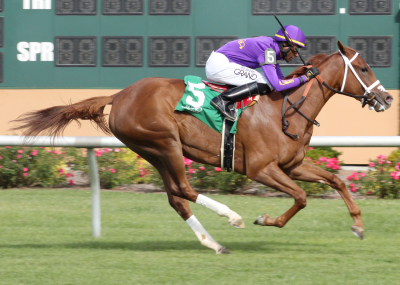 July 4, 2017 – It was the first time this season that racing fans at Indiana Grand Racing & Casino got to watch Lady Fog Horn over her home track and she didn’t disappoint. June 27, 2017 – For many born outside the red, white and blue, a lifelong dream is to come to America. 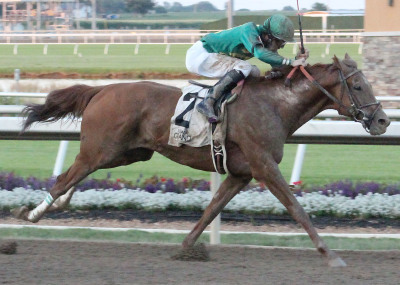 JRetrospection and Robby Albarado proved to be the toughest pair in the ninth running of the $100,000 Hoosier Breeders Sophomore Stakes Wednesday, June 21. 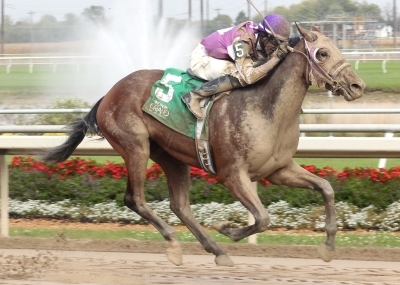 June 21, 2017 – It was time for Whistle Stop to step up and blow her own horn and that is just what she did in the ninth running of the $100,000 Hoosier Breeders Sophomore Stakes. 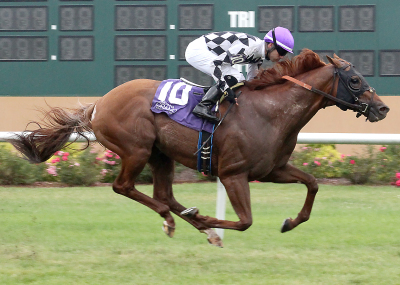 June 10, 2017 – Defining Hope and Malcolm Franklin proved why they were the heavy favorites in the fourth running of the $75,000 ITOBA Stallion Season Fillies Stake Saturday, June 10. 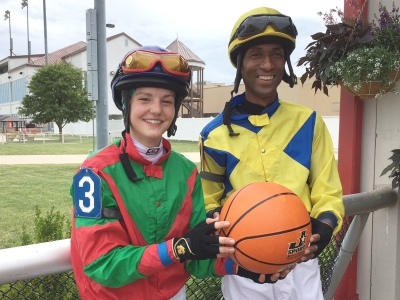 June 10, 2017 – Jockey Katie Clawson might not have ridden the most horses at the current Indiana Grand meet, but she’s made the most trips to the winners circle. 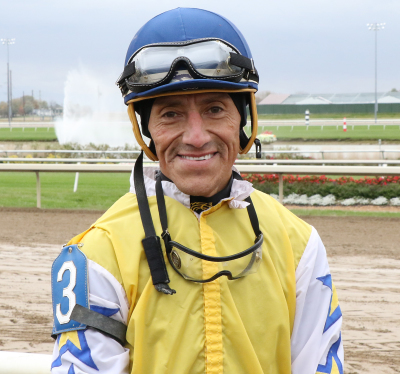 June 6, 2017 – Rodney Prescott, Indiana’s all-time leading jockey, scored his 3,500th career victory at Indiana Grand Racing & Casino Friday, June 2. June 7, 2017 -Bourbon N Lime with Manny Cruz aboard, rallied home as the winners of the second round of the $30,000 Don K. Memorial Starter Allowance Wednesday, June 7. 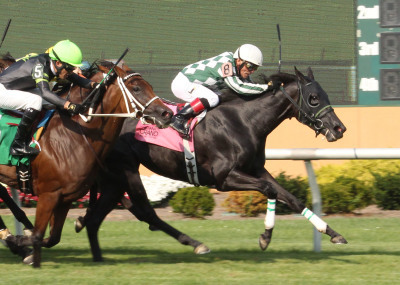 May 24, 2017 – Far Out Kailee and Richard Bracho put a nose in front to win the first round of the Don K. Starter Memorial at Indiana Grand Wednesday, May 24. 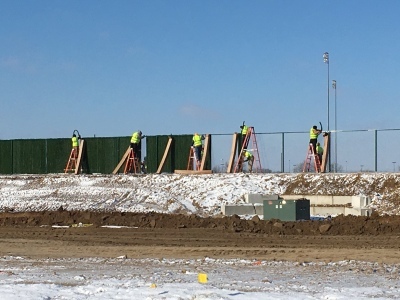 March 23, 2017 – The 15th season of Thoroughbred and Quarter Horse racing is less than one month away and horsemen have returned to prepare for opening day. 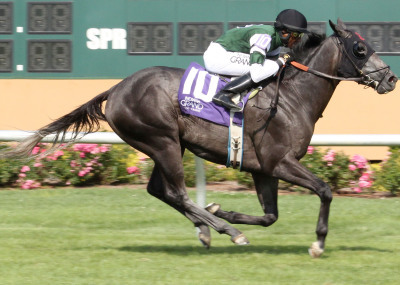 May 16, 2017 - Turf racing is back at Indiana Grand. 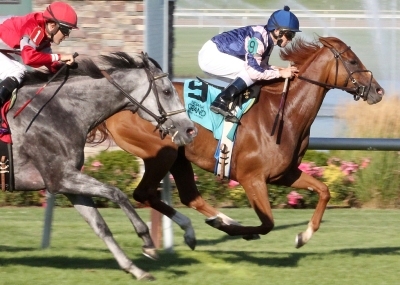 A pair of turf races were held on the Tuesday, May 16 racing program, marking the first time on the grass this season. May 11, 2017 - Hard work, dedication, and perseverance are all good traits of a jockey. They are also good traits for a college student. May 10, 2017 - Apprentice jockey Katie Clawson is off to a roaring start at Indiana Grand Racing & Casino.